Summer is over: yesterday we had our first rain. It was great! Everything got washed and watered. My lemmings started waking up after summer hibernation. So I decided to resume my weekly round-up posts. How are your lemmings doing this Fall? For new readers: in this series I feature posts that made me smile, conjured some perfume lemmings or reviewed perfumes that I love. Steven (The Scented Hound) has just created a 4.5 star bones rated lemming: Sideris is a fragrance that I feel like I just can’t give enough justice to… It’s all too beautiful and sometimes words are just too hard to convey. Lanier (scents memory) tells the story that makes you want to try Vesper by MIKMOI. I don’t want to quote any part: just start reading it and see if it captures you the same way it captured me. Not a perfume-related but a smile-worth story from Vanessa (Bonkers about Perfume): Milk for tea was an alien concept. Tea itself was an alien concept. I spent one night on a camp bed in his living room, having declined his invitation to ‘walk a portion of the way’ with him, which I took to be code for a cosier sleeping arrangement. Parfumista (Parfumistans blog) compares two versions of the perfume that I like (especially in the extrait concentration): I find the Mohur Extrait deeper and darker than the Mohur Edp. […] The Extrait gives me the image of heavy silk velvet in the color of dark purple with golden stiches and loads of roses in the same color, all surrounded by a smooth almost creamy saffron and other delicate spiced stored in smooth leather pouches. Mario (guest writer at The Perfume Chronicles) reviews one of my favorite Serge Lutens‘ perfumes – Ambre Sultan. Tauer Perfumes did something we repeat saying perfume companies should do: they released Explorer Set – three 15 ml bottles of your choice, shipping included in the price. Until September 24th they offer 10% off. Nine perfumes from the line are currently offered. I want one or two – and even those I’d hate not taking advantage of the discount I just can’t find the third one. But I love the idea! Go Andy! To say thank you to him for this clever idea I just went and shopped. There is no way I will go through 50ml of a frag anymore so 15ml is PERFECT!! I was very excited myself when I saw the announcement about the Explorer Set. I would have bought it if I had the third selection I want but I already have two full bottles so there are just 2 other scents I want. Oh well, maybe one day I’ll find who to split it with. That explorer set is tempting especially with a discount but I will try to resist it. For now at least. I love your lemmings too. Yaay, L,L,L posts are back! :) Happy dance! I missed your LLLs my dear, they’re so much fun. Thanks for the link love and I am trying to resist purchasing a Tauer set….so I am throwing my wallet into another room! My wallet is in sad shape these days. Very disappointed that Tauer Perfumes don’t ship to the UK (the three countries they mentioned are UK, Russia and Italy). Probably some stupid customs law or quirk, but surprises me somewhat, as the USA for example, I would have expected to have more onerous import requirements. Hope Undina will excuse me for butting in here. Michael, Scent and Sensibility Perfume and Les Senteurs sell Tauer perfumes in the Uk but whether either will do the explorer set I don’t know. It’s not TP’s fault. As I understand, the U.K.’s new mail regulations prevent a legal sending perfumes from the outside of the country. Undina, I am lemming Ambree Mandarine by Hermes like crazy. It’s not too expensive so I might go for it. Stalking ebay first though. I like both new Hermes’ colognes (and I like those bottles) but I’ll wait for them to get to discounters. I have so many more fall lemmings than spring/summer. I don’t know where to begin. Top of my list is; Lutens Amber Sultan (but I want to try Diors Amber Nuit before I commit), VC&As Orchidee Vanille (but I want to Guerlains Angelique Noir before I commit) and Noel au Balcon just for fun and to get me in the holiday mood. I like both Ambre Sultan and Ambre Nuit (but I think they are very different, there’s no way one can replace the other for me). I like AN but I haven’t tried Orchidee Vanille – are they supposed to be similar? I read that the two are in a similar category (sweet, floral, vanilla) and should be compared before a purchase. I am interested in the role that angelica plays and I’m hoping it it helps cut the sweetness back a notch. OC teeters on the edge of being too sweet for me but it somehow manages to save itself by throwing some flowers at me, which I appreciate. It’s one of the few vanilla scents that I enjoy wearing from start to finish. How would you say Amber Nuit and Amber Sultan differ? I tried Amber Nuit this summer and I remember liking it but I can’t remember what I liked about it. I know that I thought it would make a great fall scent, though. Whereas Ambre Sultan is a prominent amber scent, I agree with Birgit in defining Ambre Nuit as rather a rose scent. If you want to do an amber to amber comparison, Mitzah from the same Dior’s collection or Parfum d’Empire Ambre Russe come to mind: I can see a person who isn’t much into amber perfumes to choose just one of the three to represent this type in her collection. But Ambre Nuit won’t replace any of them. Now I’m lemming Sideris too (Cinabre sounds lovely as well). Maybe they’ll add the rest of the perfumes later. Which is your favorite? I haven’t tried this one. Thank you for this links, U! I know I have a growing number of lemmings – still mostly at the sample stage – but I’m blowed if I can think of any right now. It’s the same if you asked me to tell you a joke – I would totally blank that too! Actually, Thomas (CPB) just slayed a couple of lemmings now I think of it by sending me samples of the Le Labo duo, Lys 41 and Ylang 49, both of which I liked a lot. I really should keep a log of my current lemmings flock – there are probably DEFRA rules to that effect. Oh, and thanks for the Laugh linkage – was chuffed to make the cut! I haven’t tried those two yet but I’ll get to the store that carries Le Labo eventually. 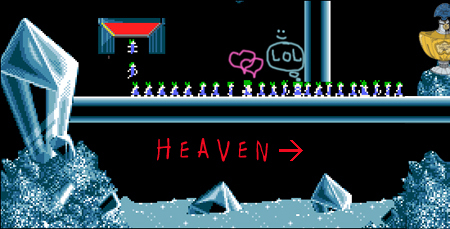 For some reason those weren’t my lemmings at any point. My lemmings are mostly on the “want to test” level as well. I have a lot of posts to catch up on. Great list! Mona di Orio’s perfumes do not work for me (mostly) so I do not expect to like this one. But I’ll try it if I get a chance. Sideris sounds wonderful. I like the name of the line and the bottles very much as well. So now you have given me a new lemming. :) At the moment my biggest fall lemming is the new Byredo, 1996. Thank you for the lemming shout out for my Vesper review! I’ll drink to that. Thanks U for linking to my new, dark roselove :-) When it comes to lemmings, the mysterious Sideris and femme fatale Cinabre from MCG definitly are. The two best from the first MCG collection IMO.